Ewing Irrigation & Landscape Supply named Tom Childers as its Eastern Division vice president. Childers will lead Ewing’s continued growth and expansion in the eastern U.S., leveraging his more than 26 years of experience in the landscape and green industry. Childers’ experience includes business operations and development, sales and marketing. Currently Ewing’s geographic footprint in the east includes locations in Alabama, Florida, Georgia, Louisiana, Mississippi, North Carolina, South Carolina and Tennessee. 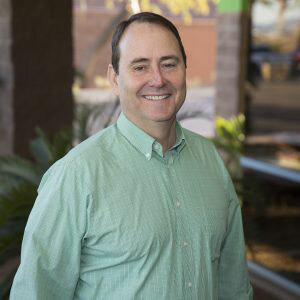 Prior to joining Ewing, Childers was the co-founder and president of Landscape Today, a sales and marketing agency serving green industry manufacturers, for nearly four years. Previously, he was the senior vice president of marketing at John Deere Landscapes for nearly 13 years. He also held leadership roles with Toro and Turf Care Products. Childers earned an MBA in marketing from Kennesaw State University and a bachelor’s in finance from Auburn University. Stephanie Jensen has joined the BASF Professional & Specialty Solutions (P&SS) business as its director for the U.S. business. The P&SS business focuses on solutions for customers in the pest control, turf, ornamentals and vegetation management/forestry markets. Jensen has been with BASF for 16 years in a variety of roles including marketing, planning and mergers & acquisitions. Most recently, she served as the director of group controlling and data management for the North American crop protection division of BASF. She also represents BASF on the board of directors of WakeEd Partnership as chair elect and serves on its programs committee. Stephanie graduated from Bentley University with a bachelor’s in finance and later an MBA. The Propane Education & Research Council (PERC) promoted Jeremy Wishart to director of off-road business development. In his new role, Wishart will lead propane application research and development and oversee market communication strategy and outreach in multiple outdoor power equipment market sectors that utilize propane applications, including commercial landscape, golf, sports turf, light construction and material handling. Since joining PERC in 2005, he has worked in a variety of marketing roles. Since 2013, Wishart served as deputy director of business development for PERC. Prior to his time at PERC, Wishart worked in the resort and tourism industry as an events and marketing coordinator for Snowshoe Mountain Resort in Snowshoe, W.Va.
Wishart graduated from Shepherd University with a bachelor’s in commercial recreation and tourism. Davey Resource Group (DRG), a wholly owned subsidiary of the Davey Tree Expert Co., promoted John Platt to regional operations manager in the environmental consulting market in the New York and Massachusetts regions. Platt joined Davey Tree in 2004. He started his career with the company’s Baltimore residential/commercial office, and in 2005, he transferred to the Long Island, N.Y., office. He held a variety of roles in his time there including tree climber, sales arborist, plant healthcare coordinator and project arborist. In 2010, John transferred to DRG where he served as a project manager for the Asian Longhorned Beetle eradication effort. Platt holds a bachelor’s degree in forest and natural resource management from The State University of New York College of Environmental Science and Forestry. He is also a U.S. Marine Corps veteran. Platt is an International Society of Arboriculture (ISA) Certified Arborist, an ISA Certified Arborist Municipal Specialist, a Tree Care Industry Association Certified Treecare Safety Professional and a 2006 graduate of the Davey Institute of Tree Sciences, Davey’s flagship training program. The Davey Tree Expert Co. promoted Nick Stutzman to district manager of the northeast Cleveland residential/commercial (R/C) office. Stutzman started with Davey in 2007 as a landscape laborer for the west Cleveland office. In 2012, he was promoted to plant healthcare technician and then again to sales arborist in 2013. In 2015, Stutzman was promoted to assistant district manager for Davey’s west Cleveland office. “Nick’s drive and passion to consistently provide excellent client service paired with his exceptional management skills leave him well suited for this new role as district manager,” said Jeff Crites, market manager of Davey’s eastern great lakes residential/commercial services. Stutzman attended the Polaris Career Center where he studied horticultural science. He is an ISA Certified Arborist and a 2012 graduate of the Davey Institute of Tree Sciences. Davey also promoted Robert Spartz to district manager of the Quad Cities (R/C) office. Spartz joined Davey nearly 10 years ago as a plant healthcare technician/groundman in the west Chicago R/C office. In 2014, he was promoted to plant healthcare coordinator in The Care of Trees Lake Bluff, Ill., office. Most recently, Spartz was a sales arborist for The Care of Trees Glen Ellyn, Ill., office. Spartz holds an associate’s degree in general horticulture and turfgrass management from Kishwaukee College. He is an ISA Certified Arborist and a 2016 graduate of the Davey Institute of Tree Sciences. Additionally, Davey promoted Matt Schaefer to district manager of The Care of Trees Barrington, Ill., R/C office. Schaefer has been in the green industry for more than 30 years, with more than 25 of those years spent at Davey. He began his career in Davey’s Wheeling, Ill., office, working as a foreman, PHC specialist and sales arborist. He then transferred to the East Dundee, Ill., office where he was a sales arborist and then the assistant district manager. Most recently, Schaefer was the assistant district manager of The Care of Trees Barrington office. “Matt brings many years of experience and expertise to this new position, and I know he will deliver excellent service for the clients in this area that he knows so well,” said Geoff Cowan, operations manager of Davey’s north central residential/commercial operations. Schaefer holds a bachelor’s degree in urban forestry from the University of Wisconsin Stevens Point and is a graduate of the Davey Institute of Tree Sciences. Nearly 50 Davey employees have graduated from the Davey Institute of Tree Sciences (D.I.T.S.). The month-long training program includes classroom and field exercises in climbing and safety procedures, tree and plant care, disease and pest diagnosis, management practices and team building. This year’s class also included sessions on how to lead effectively. As part of the D.I.T.S. graduation banquet, Laverne announced that Joshua Bearman received the Golden Oak Award, which is earned by the student with the highest academic performance throughout the month-long program. Attendees were drawn from Davey operations across North America and had to be nominated by their field managers and approved by corporate management to be admitted into the program. This year’s participants included: Tyler Andrews, Joshua Bearman, Greg Bennett, Dave Benninger, Jeff Blas, Troy Boughner, Brendon Brown, Margaret Burleson, Joshua Cook, Nuala Coulter-Hayward, Paul Dolan, Kevin Donner, Christopher Griffin, Aminadab Guerrero-Penaloza, Alec Hall, Derek Hausmann, Sam Heywood, Mitchell Hoffman, Shawn Huff, Justin Troy Irelan, Neil Irving, Michael Jurgens, Kevin Lamb, Bryan Layne, James Legge, Jacob MacDougall, Davy McAdams, Isaac Miller, Pasquale Monteleone Jr., Patrick Mounce, CJ Nichols, Josh Noe, Abraham Nunez, Kadyn Pack, Dago Padilla, Eric Phillips, Amanda Pipes, Josh Prochnow, Dustin Schaffer, James Scovil, Kyle Smedi, Michael Spaulding, Michael Sweeney, Matthew Teague, William Tomajko, Michael Wade, Travis Wellner and Erik Winter. Ruppert Landscape promoted Damien Barber to region manager in the company’s landscape management division and Mike Fleming to branch manager in the Baltimore, Md., landscape management branch. As region manager, Barber will oversee operations at four of the company’s landscape management branches: Baltimore and White Marsh, Md., and Toughkenamon and King of Prussia, Pa.
“As our northern region has grown, there was a need for additional management support to ensure the development of our teams and profitability in those branches,” said Tom Barry, president of the landscape management division. Barber has more than 20 years of green industry experience, is a landscape industry certified technician and holds a bachelor’s degree in landscape management from the State University of New York (SUNY) at Cobleskill. He first interned with Ruppert in 1998 and served as field manager, area manager and ultimately branch manager before the sale of the company. During his time away from Ruppert, he ran a successful landscape maintenance branch in Anne Arundel County before being promoted to vice president and general manager in Raleigh, N.C., where he oversaw revenues in excess of $30 million and led a team of over 450 people. He rejoined Ruppert in 2016 and, when the Baltimore operation split into two branches, became branch manager in the Baltimore landscape management branch. Fleming holds a bachelor’s degree in horticulture and turf management from Williamson College of the Trades and is a landscape industry certified technician. He has been with the company for 11 years and has worked in multiple branches during this time. He joined the company in 2006 as assistant field manager in the Toughkenamon, Pa., branch and was quickly promoted to field manager. In 2009, he was promoted to area manager in the Frederick, Md., branch and soon transferred to the Baltimore branch. In 2017, the Baltimore branch split to create the White Marsh, Md., location, where Fleming held a dual role as area and enhancement manager and was accepted into Ruppert’s Associate Branch Manager leadership development program. After nearly 38 years with Graham Spray Equipment, salesman Charlie Holloway is retiring. His last day will be April 26. Holloway started out on the shop floor building spray units and worked his way up to sales. Massey Services promoted Bill Cohn to irrigation technical & training director. In his new role, Cohn will be responsible for all training, research and development of the company’s Irrigation Services program. Most recently, Cohn served as a field training manager in the company’s GreenUP Lawn Care division and worked closely with service managers and landscape specialists. He has been heavily involved in testing the company’s smart irrigation program, which tailors watering schedules and run times automatically to meet specific landscape needs. Cohn has been part of the Massey Services family since 1998, starting as a lawn specialist and working his way up to service manager. In 2006, he was promoted to general manager for his leadership excellence of the Service Center operations teams. In 2015, he joined the quality assurance team as a field training manager. Canopy Lawn Care added Jason M. Stanley as the company’s new chief marketing officer. Jason spent the last 12 years at the Raleigh, N.C.-based digital marketing agency, Coalmarch Productions, the last six years as managing director and CEO. Before his leadership role at Coalmarch, he served as creative director and was responsible for the marketing strategies and creative production of the agency. He brings more than 20 years of digital and inbound marketing experience to Canopy.